My half of PowellStudios is full of sculptures, most of them carved of stone. From miniature to monumental sizes, marble, limestone, granite and some others, they tell stories or honor a person, plant, animal, or idea. Some are displayed in galleries, and exhibitions, while many are in public spaces where you may visit and touch them. 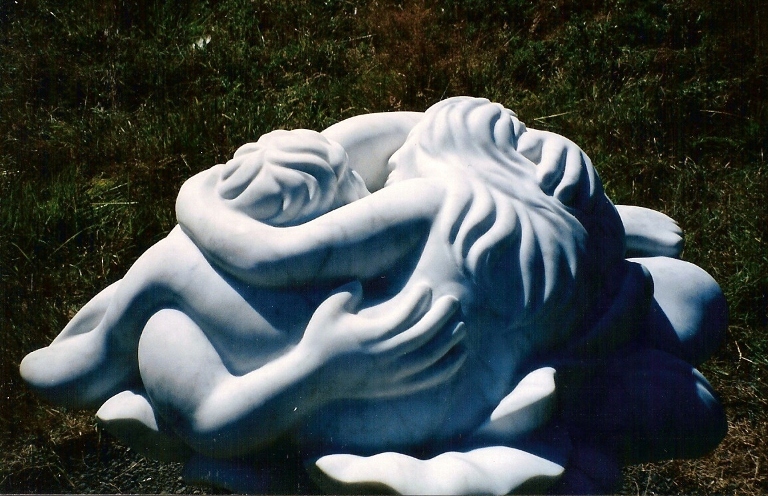 I also do custom carving, making sculptures to order, to tell somebody else's story. It could be yours. One of my favorite themes, romance and the natural world. We are all endowed with the wondrous life force of a living world. We are plants, animals of all kinds , wind and sea and sunlight and living rock. All life, all precious, all process, all one. Celebrate the wonder of Life!